"I could not have pulled off my fabulous wedding without Elisa Delgardio. My husband agrees that she was worth every penny. You'll love her!" 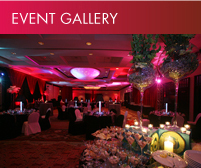 A Flair for Affairs is a popular wedding planning and event design and production company in Central Florida. *Voted Most Popular Wedding Planner in Orlando in the 2014 Wedding Industry Experts Awards, and Wedding Professional of the Year in the 2011 Peer of the Year Awards! Orlando wedding planner and event designer Elisa Delgardio has earned the trust and respect of both clients and peers for planning luxury and destination weddings and VIP special events. Elisa and her talented team of planners and consultants ease clients through the planning process to ensure a sensational, emotional and unforgettable event! A Flair for Affairs Orlando planning studio produces fabulous weddings, stylish parties and extraordinary events throughout Florida and beyond. A Flair for Affairs is proud to be voted 2012 Best Destination Wedding Planner in Orlando and Florida, 2011 Social Planner of the Year Nominee (BizBash), 2010 and 2009 Orlando WOW Awards Nominee, 2008 Esprit Award Nominee and a Best of Weddings Pick (The Knot).